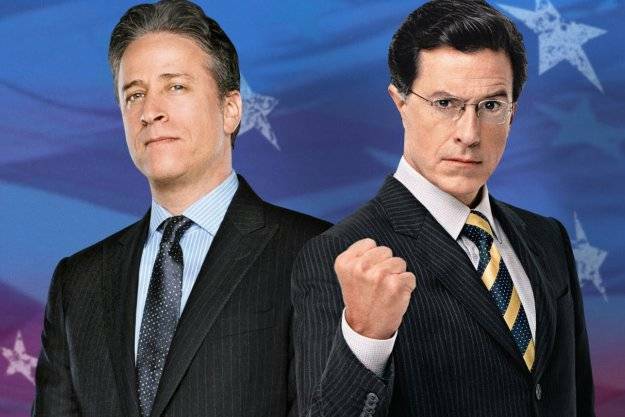 There’s something to say for how Jon Stewart and Stephen Colbert altered politics, satire, and how young people approach the news. Since both hosts bid goodbye to their audiences in the last year, it’s also important to consider what will now change without their influence on the book world. As a fiction lover, my most memorable moments on these shows were when famed authors came into the limelight. Stephen Colbert has had several important fiction icons on his show, including Sherman Alexie to discuss Hatchett publisher’s struggling authors and Toni Morrison there to discuss race and her writing. I was pretty stoked to see Morrison back in January. But appearances by famous fiction authors were rare. And this was frustrating since fiction can also produce socially important, news-worthy content. For the most part, however, Stewart and Colbert were focused on nonfiction writers when they did bring on authors. 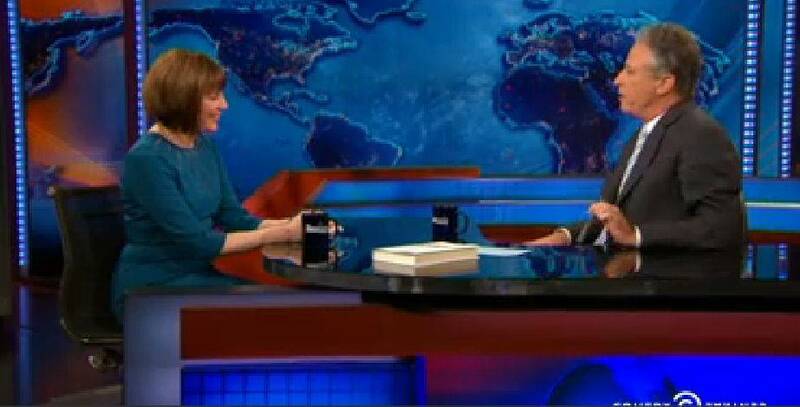 Jon Stewart’s recent interview with Judith Miller had such intensity behind his questions, it brought up the responsibility that authors and journalists have when producing and discussing their nonfiction work. It’s necessary for audience members to understand these kinds of questions and to recognize the conflicts that journalism has folded away. Interactions like these are important. If you’re interested, many of these interviews are available online, and both the Daily Show’s list of authors and the Colbert Show’s list can just make you feel good inside. It seems, the short online clips will let these interviews remain immortal– for now. What’s especially interesting about these two shows is their role on Comedy Central– they were just cable shows, yes, but on a cable channel designed for the youthful. Indeed, when I was a college student, Colbert and Stewart were in their heyday. Colbert’s ironic character was a powerful tool to point out the complexities of duality and potential hypocrisy in a greatly confusing political world. 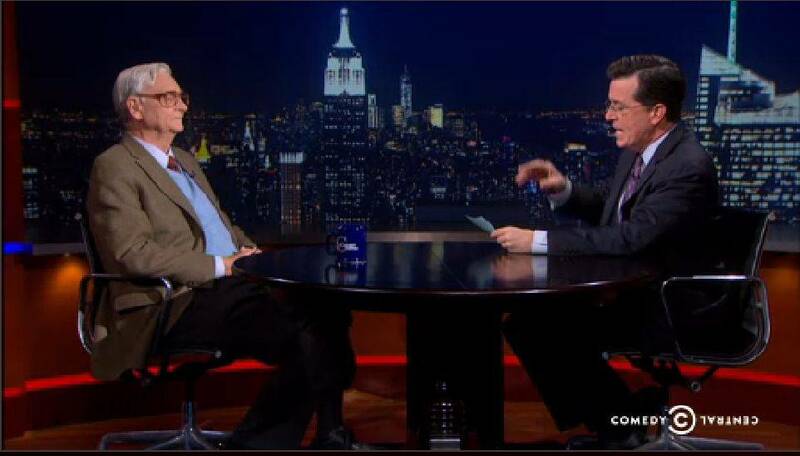 But, it was almost a relief when Stephen Colbert interviewed a unique, low-stakes author, separate from normal political viewpoints, like Edward O Wilson’s devotion to ants. While I was a student, there were few outlets for college students to come across nonfiction books in a place other than college itself. Comedy central’s late night shows were that outlet. It’s important to have this kind of overlap between television entertainment and reading because it provides an opportunity for audiences to overlap. This is especially true when the audience itself does not necessarily watch Oprah. Or BookTV. So where does this new absence leave us? You have replacement hosts and a new show taking over, yes, and there is potential for Trevor Noah on The Daily Show and Larry Wilmore’s The Nightly Show to fill this gap. At the same time, they also have to pave their own ways and find their own formats to help their shows survive– a requirement already evident in The Nightly Show‘s roundtable discussion format. There’s a great chance that authors won’t be included in these new forms, or that they will be only a footnote. I can predict, though, that Stephen Colbert’s new hosting role on The Late Show won’t have the same approach to authors that The Colbert Report did. Prime time television just doesn’t have the same interest in alternate medias beyond online advertisement, memes and viral clips. Which is inevitable, but also inevitably a shame. Can somebody be bold enough to fill this gap? Can a network come through with a show that can introduce young audiences to bold authors? Can writers convince the producers that books are worth talking about? Or even better, is there an outlet out there that I’m not aware of yet? All I know is, I will miss those two rapscallions who are headed out the door after changing reader awareness forever.